The driver supports the Gemini Pulsar 2 and the Pulsar controllers. 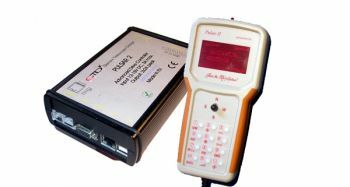 Basic functions such as Track, Sync, and Park/Unpark are supported as well as enabling/disabling of periodic error correction, pole crossing and refraction correction. This driver is in beta version and is under development to add more features. On connection, the mount sets the controller time and location. Before syncing the mount make sure that the correct side of the pier is selected in the Main Control tab.